For the annual Kinderboekenbal we were asked to join the creative decor team (opening prom of the national children’s book week). 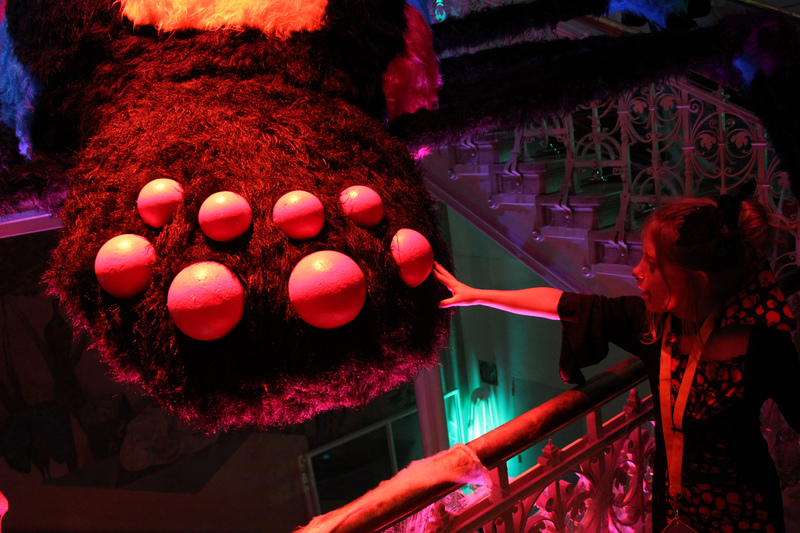 This years’ great theme was ‘Gruwelijk Eng’ (Horribly Scary) and the kids horror party was held in the classy building Stadsschouwburg Amsterdam. A lot of children were dressed up in scary fantastic horror outfits and of course the setting also had to be terrible (funny) scary. 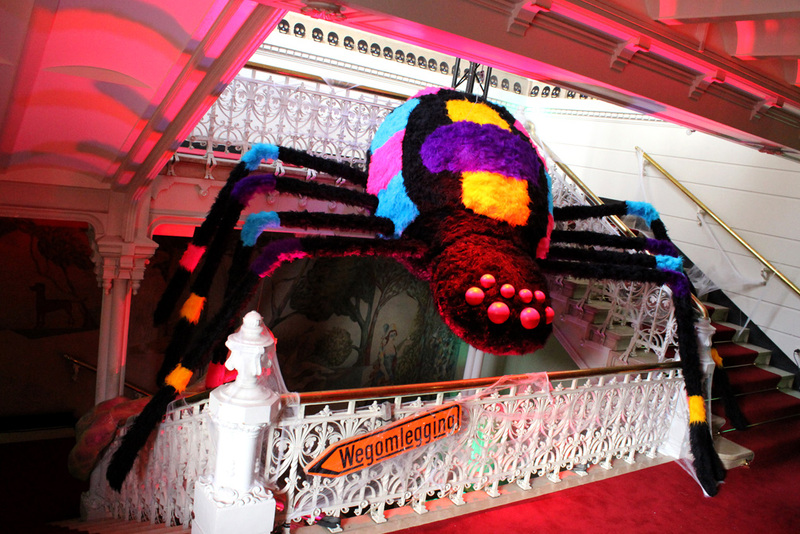 To make it worthwhile horrendous we designed and built a 6 meter wide giant black spider creeping over the staircase. Don’t be attracted by it’s fluffy fur, if you tried to touch it, who knows your hands won’t get off anymore by its stickiness. 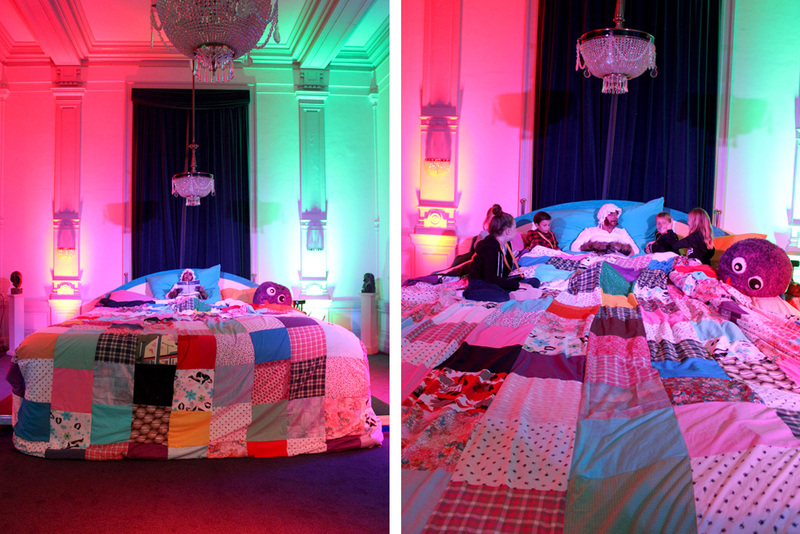 In another room we built a giant bug bed of 5×3 meter, where a friendly wolf grandmother was telling bedtime stories to the kids. 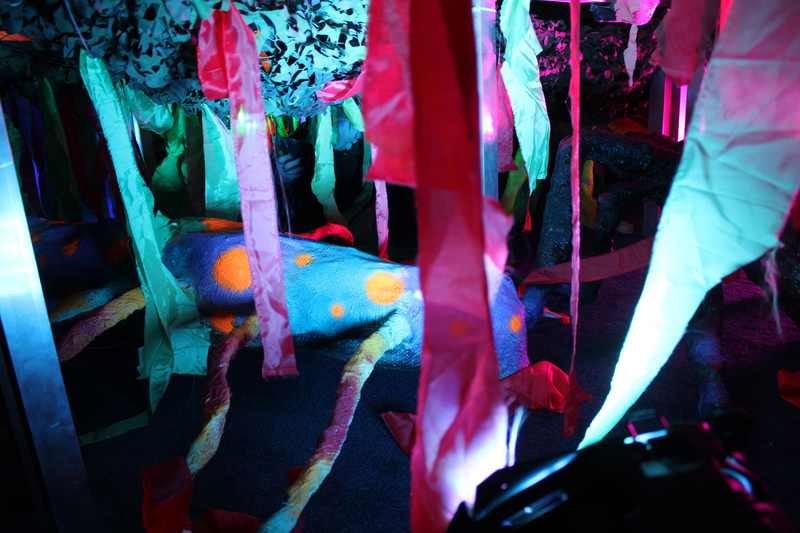 To add an extra horror dimension, it was also possible for the kids to crawl under the giant bed, where they could discover a whole new world full of hidden gigantic insects waiting curiously for the young innocent visitors. 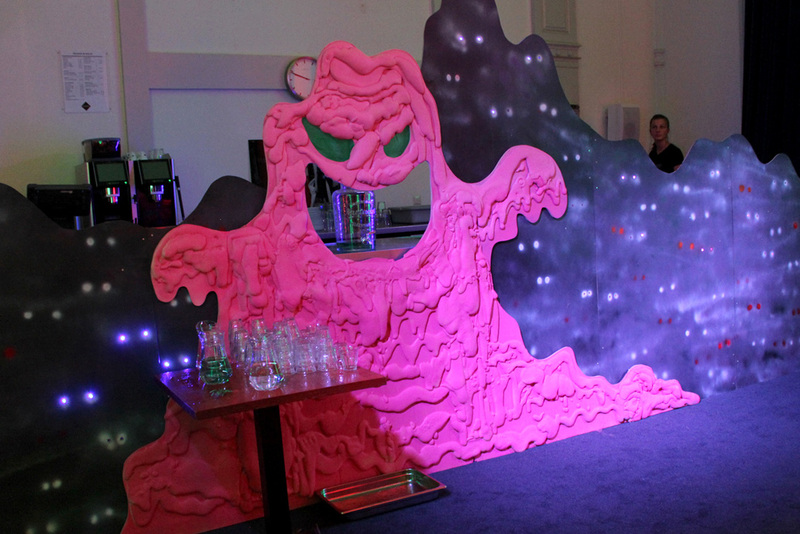 For thirsty rascals and little vampires we set up a nice giant pink lemonade monster in front of the misty horror bar. 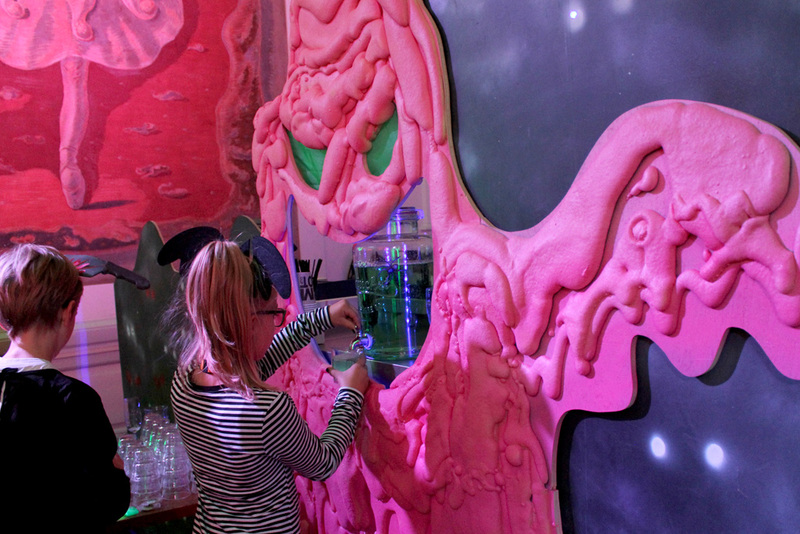 Kids could tap a drink from the mouth of our pink slimy syrup monster to refresh themselves untill midnight strikes :).